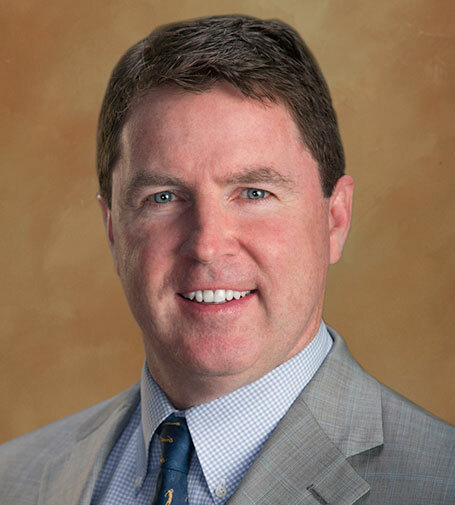 Joseph R. Ganley is a senior litigation partner with the Firm, and an AV-rated attorney by Martindale-Hubbell®. He practices in virtually every aspect of business and commercial litigation, including real estate, construction, employment, intellectual property, insurance, transportation (Carmack Amendment), casino markers, reverse mergers, healthcare, probate, corporate and transactional, mechanic’s lien, and contract litigation. Joe was raised in Weymouth, Massachusetts, an historic town founded in 1622 located 20 miles south of Boston. After graduating near the top of his high school class, Joe matriculated at Middlebury College in Vermont. He was a member of the football and track teams, and after he was graduated in 1987, he stayed at Middlebury as an assistant football and baseball coach. He spent another year teaching and coaching at Hingham High School in Massachusetts before heading to New York City to start his legal career at the international law firm of Davis Polk & Wardwell. Joe attended San Diego’s California Western School of Law for his first year of law school. After placing near the top of his class, he transferred to Boston University School of Law. He was named to the Dean’s List and Law Review at California Western. At Boston University, he received the American Jurisprudence Award in Trial Advocacy and he was a Northeast finalist in the ATLA National Trial Team Competition. As a law student, Joe clerked at the United States Attorney’s Office in Las Vegas and, after graduating in 1994, he joined a prominent Nevada law firm. He is admitted to practice in both the state and federal courts of Nevada and Massachusetts, and the U.S. Ninth Circuit Court of Appeals. He remains an avid Boston sports fan and still holds season tickets to the New England Patriots, Boston Bruins, and Boston Red Sox.